The CY900T is a high performance, easy to use, single chip ASK transmitter IC for remoter wireless applications in the 450 to 1000MHz frequency band. This transmitter IC is a true “data-in, antenna-out” monolithic device. In terms of power, the CY900T is capable of delivering +10dBm into a 50Ω load. This power level enables a small form factor transmitter (lossy antenna) such as a key fob transmitter to operate near the maximum limit of transmission regulations. 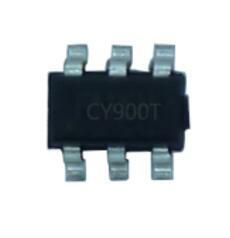 In terms of operating voltage, the CY900T operates from 2.5V to 3.6V. The CY900T is easy to use, it requires a reference frequency (RF carrier frequency divide by 64 times) generated from a crystal with a few additional external parts to create a complete versatile transmitter. The CY900T operates with ASK/OOK UHF receiver types from wide-band super-regenerative radios to narrow-band, high performance super-heterodyne receivers. 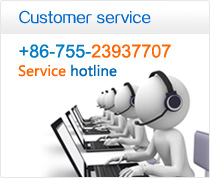 The CY900T’s maximum ASK data rate is 10kbps (Manchester Encoding).